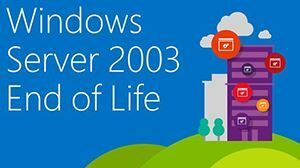 The Top 5 Security Risks with Windows Server 2003 End of Life - Bensalem, Philadelphia | MTG, Inc.
As you may or may not have heard, Windows Server 2003 will be reaching its end of support date on July 14, 2015. If your organization is still running this OS it could lead to numerous security issues that can compromise your valuable data. Why make the switch? In this paper we talk about the top 5 security risks you will face if you do not upgrade your servers. Don't leave your company unsecure, start your upgrade today!